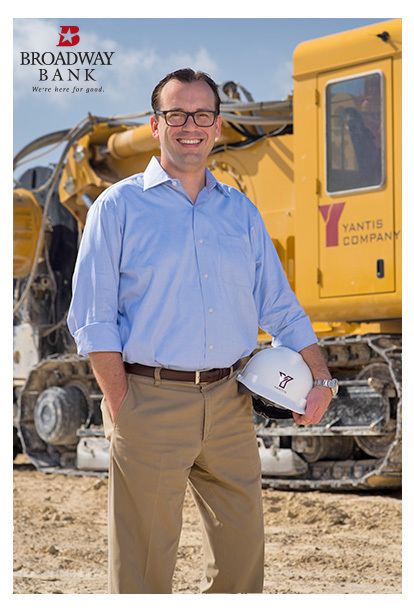 As the CEO of Yantis Company, Mike was in search of a bank that could facilitate his company’s growth – now and in the future. After dealing with publically traded banks for years, he wanted more out of his bank. He wanted a banking relationship based on access, ease of business and flexibility to make quick decisions. “In the construction industry things change rapidly, day by day and with Broadway Bank they’ve made it easy to get the financing we need, when we need it. They’ve helped us become more efficient because they understand our business and our industry demands. Having my banker know what’s going on in the company and being there to support us, is what sets Broadway Bank apart”.